Faked “alien” photographs have sometimes be presented as genuine, and later confessed to have been hoaxed by their authors. Here are some of such photographs, whenever possible I provided the context information. After gathering and investigating many alleged photographs of extraterrestrial beings, my overall impression is that most of them are proven hoaxes, some of the rest might be genuine or hoaxed. But it is not within my range of competence to qualify each photograph as hoax or genuine. I am not claiming any kind of “truth,” I have no desire to “convince” any one in any way, I have no certain “final word” explanation for most of the pictures presented here. This section of the site is only intended as a recollection of such photographs and offers comments from various sources, “as is.” I appreciate every precise information item you might offer. Careful: some of these pictures are rather disturbing, even in the cases of proven hoaxes. Please leave this page now if you are not willing to confront disturbing or frightening pictures. On September 14, 2017, an anonymous post appeared on the “Facebook” page of the “LT7” radio station of Corrientes in Argentina. The post claimed that “last night”, staff of the 4th precinct went to the area of Parque Mitre, more precisely near the abandoned boats, after having been alerted by a group of young people about a strange person of strange behavior in this area. Upon arriving, officers in patrol car 612 allegedly saw the character and took a picture of him with a mobile phone, but when they wanted to approach, the being threw himself into the water and disappeared from the surface . The message was accompanied by a photograph of the “being” – visible here. On September 21, 2017, the fraud was exposed: the image came from a Spanish independent movie titled “OVNI” (“UFO”). 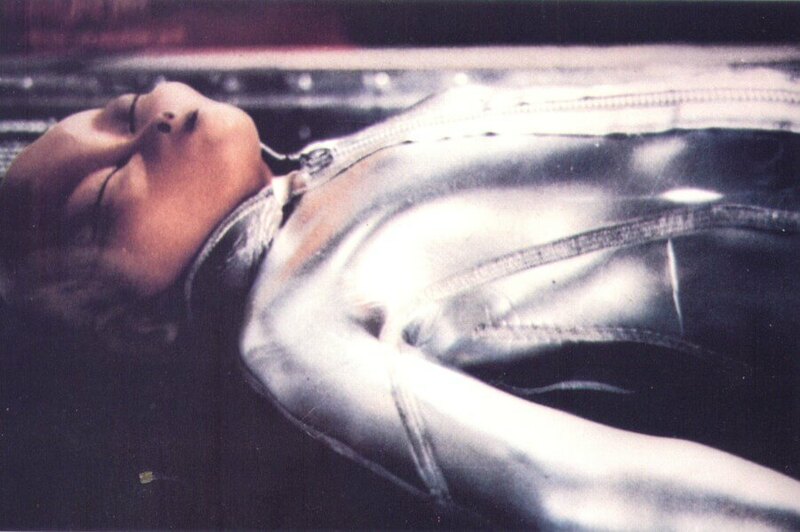 The only document showing an alleged alien that has been widely publicized. Kodak dated 5 frames of the film of 1927, 1967 or 1967, but of course it could have been shot long after the film was bought, and it wasn’t even verified that those 5 frames really came from this film. The alleged alien does not fit descriptions of the alleged Roswell aliens by witnesses, and it has been suggested that it relates to another crash nearby in Socorro. Special effect “experts” of all sorts have said almost anything: hoaxed, not hoaxed. In most cases, it was not even clear if they meant that it could or could not be hoaxed in the past or today. Some pathologists said the autopsy is “unrealistic”, other pathologists said it was “realistic.” Skeptics have even done a “faked faked autopsy” to show that such a hoax is possible… nowadays. Physicist Stanton Friedman, a ufologist who investigated the Roswell case in and out for years, quickly dismissed the footage: where is the cameraman and his military records? How could producer Ray Santilli pay for the footage? Quote from a Surgeon: “Considering that an alien autopsy would have been a unique event, the maker of this film should have attempted at least to give the appearance of the event being authentic and credible. Why not use a group of actors trained in instrument handling?” So, the main reason that it should be a hoax is that the hoaxers did not do a quality hoax? Indeed, thousands of pages of comments and speculation have been done, but no accurate police investigation with real expert help. Said skeptical Enquirer: “The bottom line is that if the film is legitimate and this is the first solid evidence of life on other planets, it deserves real authentication, not the casual checking the program provided. Independent experts need to pinpoint the date of the frames, then examine all the reels to be sure the entire film has the same date code. For all we know, most of the film is from contemporary stock. Checking the whole film would dramatically narrow the range of possibilities for a hoax.” I could not agree more, and I add that there are many reasons to believe that the footage is probably hoaxed, but there has been no decent investigation yet, only superficial debate. If we consider the hypothesis that it is a hoax, it is still of great research importance to know exactly who is at the origin of the hoax, who did it, and where it was made. This photo was taken by a (then) teenager named Ron Hill. He claimed to have taken it in his backyard. I’m not sure how, but John Keel got involved (the boy may have sent him the photo). Keel believed in its authenticity at first, as apparently many had since nothing in boy’s reputation indicated that he was given to dishonesty. His story was written up in the July/August 1969 issue of Saga – a no longer published men’s adventure magazine, which I have yet to locate. Keel says the boy eventually confessed he hoaxed the photo; the “alien” was actually a doll wrapped in aluminum foil. P.S. I just discovered your web site and I think it’s just spectacular! One of the very best I’ve seen. Made on computer by the hoax website www.australianufowave.com in 2006, as an experiment to test people’s gullibility. The website published numerous faked UFO videos, claiming there was a UFO flap in Australia. One of the last video was of an alien, rather obviously made on computer. The author, claiming he is a “Man in Black”, added that “I was left alone with them and took some photos with my cell phone. I didn’t have much time and couldn’t take many photos because my cell phone battery was going off and the stress of photographing the creature” – a typical example of “double excuse”.